October 2017 | Oh Sarah O ! The 70's are officially back in style with the sister's, Haim, and their video for "Little of Your Love" complete with line dancing and I'm digging it. Any Halsey fans out there? This week I've had Halsey's song, "Strangers", stuck in my head all week, but there's no official video for the song, so I'm posting this live version. At the start of 2017, several makers pledged to make 9 garments throughout the year and I jumped on the bandwagon and made my own knitting and sewing list. Now it's October and I've only made 3 of the 9 items I'd planned. 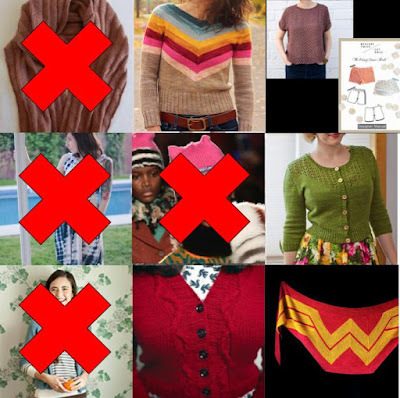 I haven't been as much into sewing as I had hoped and I'm currently in the middle of a knitting binge, so I thought it was about time to make some adjustments to my list to reflect my current interests. Triangle Rib Scarf My husband requested this scarf for Christmas in 2016 and picked out the yarn and I finished it at the start of the new year. Moneta I actually started the Moneta several years ago using the yarn I'd purchased in the UK, but I'd been too scared to finish it. In April I participated in a Moneta SAL on Instagram and finally had to courage to finish it...but it's a little snug on top. Featherweight cardigan I had my eye on this pattern ever since it came out, and I finally knit it up in May-July in a mint color. I still need to block it and post pictures. Camero I stumbled across this pattern by Tanis Fiber Arts and fell in love. It's my current work in progress. I knit 10 "cat hats" at the beginning of the year for the Women's March on Washington and gave some away to D.C. marchers and others away to family and friends and forgot to keep one for myself. So this fall I knit up my 11th hat- inspired by the hats from the Missoni Runway Show. Marion is still a work in progress. I started this cardigan back in 2014 for the Marion KAL and knit most of the front before discovering that I'd goofed up the cable and haven't picked it up since. I'm determined to pick this up before the year is through. 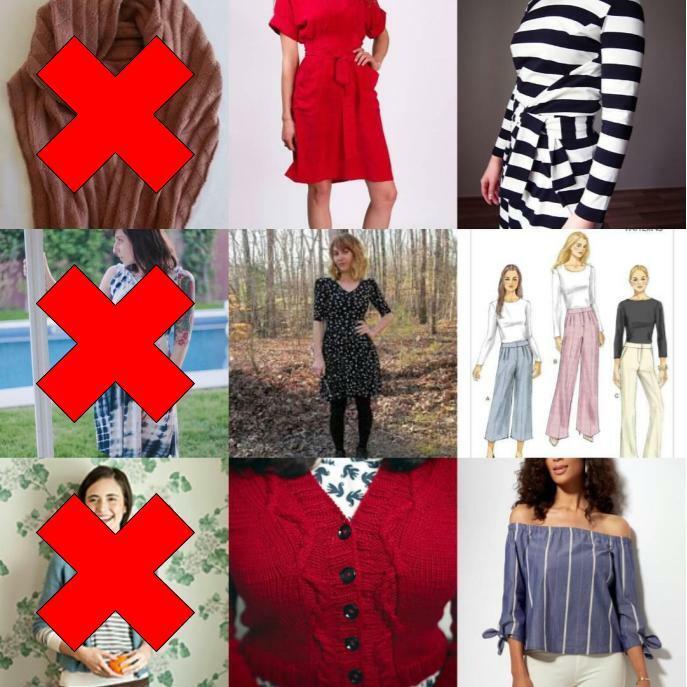 I decided that one problem I had with my early 2017 Make Nine set was that my sewing pattern choices were too advanced and intimidating, so I thought I'd keep it simple. I can't decide if I'll sew up another Lou Box Top in a more drapey fabric or sew my husband some Mr. Darcy boxer shorts this year. I'm jumping into another Untangling Knots KAL with the Salal pattern. I've got my yarn and pattern ready and can't wait to cast this on in mid-October. I saw the new Wonder Woman film and loved it, and found some fabulous Yak yarn at Oregon's Flock & Fiber Fair, so it's only natural that I need to make the Wonder Woman Wrap. Are any of you participating in the #2017MakeNine ? Are you keeping up, or does your list need some revisions? Let me know in the comments below. This week I heard St. Vincent's latest single "Los Ageless" from her new album, MASSEDUCTION and was reminded of just how brilliant Annie Clarke (aka St. Vincent) is. An NPR article described the song as "nightmare fuel in pepto pink". If that sounds like your cup of tea, check out the music video below.